Winter weather in Arkansas is pretty unpredictable. Actually, weather in Arkansas is unpredictable year-round. So when Whitney approached me about doing her bridal portraits in December I knew we had at least a 50/50 chance for beautiful weather. 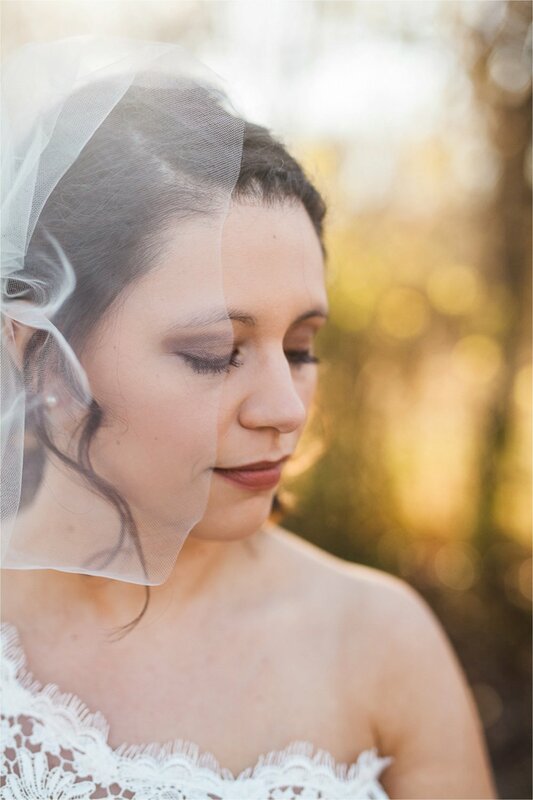 As it got closer to the date for bridal portraits we had crazy rain, cold weather, and 70 degree days, so I had no idea what to expect but the day of her bridal portraits was absolutely, perfectly gorgeous. And of course, the day was no match for Whitney in her exquisitely retro, lace gown. And this was my first bride ever to have a one shoulder gown--I'm in love with them now! 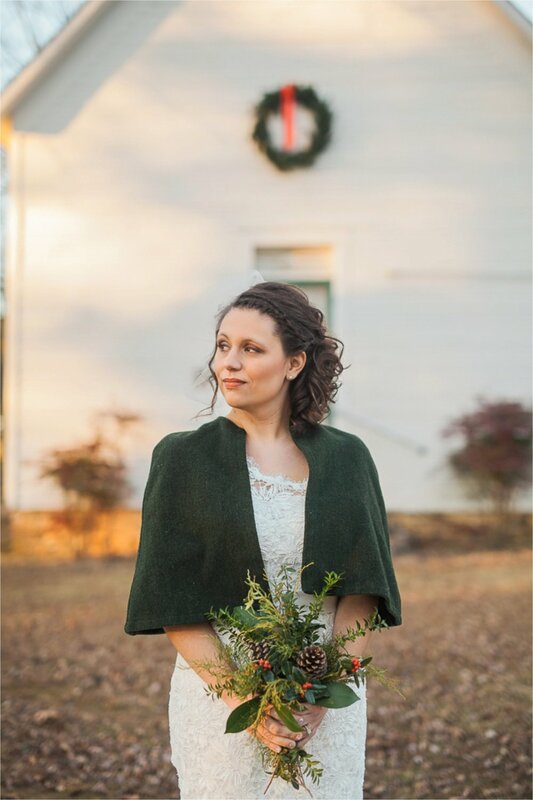 We drove up to her hometown of Morrilton and traipsed around her parent's land and Petit Jean Mountain to capture these lovely bridal portraits. Her wedding bouquet was going to be mostly evergreen so I took the liberty of throwing a bouquet together from what I could find growing outside! Sidenote to say, I have often thought that if I didn't capture photos of weddings I would definitely want to be a floral designer! I heart Whitney is a classic southern beauty through and through and I absolutely adore her and her family! 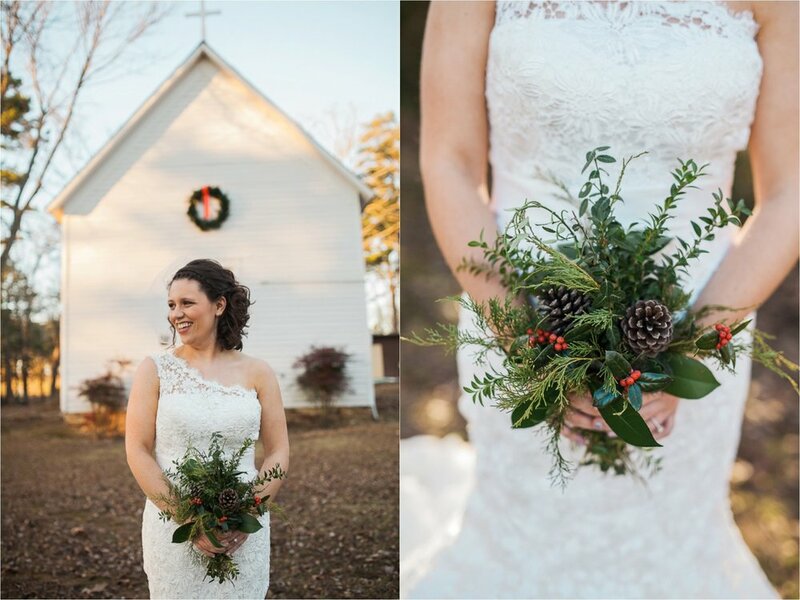 Her classic winter wedding was Saturday, so be looking for that coming soon, but in the meantime enjoy Whitney's wintry, southern bridal portraits!